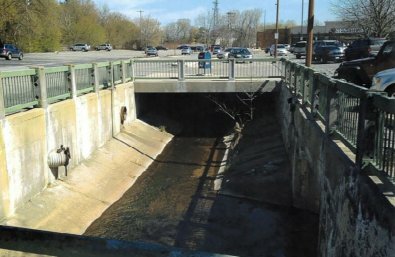 This grant will support the Village of Elm Grove’s plans to daylight and restore a 900-foot stretch of Underwood Creek which currently runs under a large parking lot in the downtown and is completely enclosed in a concrete box culvert. Once complete, this project would have significant water quality and habitat benefits. Grant funds will support engineering and design.